AT&T is all dressed up with nowhere to go. The telecom company had a $93 billion bid for Telefonica blocked by Madrid, according to a Spanish newspaper. The target has denied that it received any expression of interest. But the report is a sign of the problem AT&T faces: it has a lofty stock multiple, which makes M&A tempting, but it seems shut out of both domestic and foreign deals. The U.S. mobile market looks pretty mature. The number of active wireless devices already exceeds the population, according to industry group CTIA. Sure, as consumers adopt additional devices, such as tablets, this figure will drift higher. But that’s a slow crawl compared to past growth in what was then a burgeoning new market. Increasing revenue by pushing higher-priced data plans will be difficult. About three-quarters of its billed subscribers already have smartphones, and American bills are higher than in most developed countries. 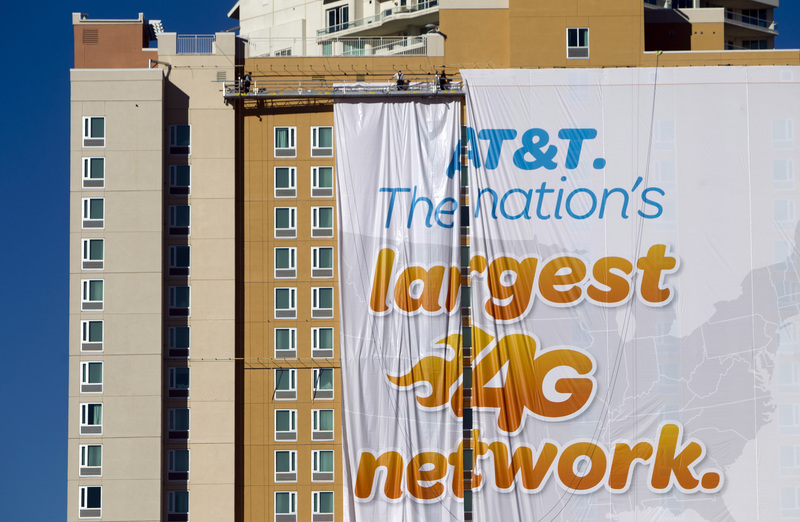 AT&T’s wireless growth slipped below 4 percent in its most recent quarter. Acquiring smaller U.S. rivals to boost the top line is a no-go. U.S. wireless regulators are keen to promote competition. That’s why they nixed AT&T’s $39 billion bid for T-Mobile USA in 2011. That bid may have been the catalyst for a wave of consolidation among smaller U.S. carriers like Sprint Nextel, LEAP Wireless and Clearwire. AT&T, though, is unlikely to play a part. Overseas is a different story. Company executives think mobile data usage in Europe is about to take off, based on recent comments to investors and analysts alike. Infrastructure and software rolled out domestically can increasingly be used overseas. And there’s a striking valuation mismatch. AT&T stock currently trades at more than a 50 percent premium to Telefonica’s, based on estimated 2013 earnings. The snag is European regulators don’t appear any friendlier. If AT&T wants growth, then Telefonica, Portugal Telecom and France Telecom would fit the bill. All boast an attractive collection of wireless assets in developing countries. Yet each of these companies is regarded as a national champion, and probably off limits. The revelation that the U.S. government is widely spying on foreign data traffic won’t help, either. AT&T may be interested in Europe, but that right now looks like a one-way conversation. Telefonica said on June 17 that it had not received any expression of interest from AT&T. Its denial came after Spanish newspaper El Mundo reported earlier in the day that the Spanish government took steps to block a $93 billion offer by the U.S. telecom to buy its European-based rival. More than half of Telefonica’s revenue comes from Latin America.